The Bridge Tavern on Newcastle's quayside is still known by many by it's old name, The Newcastle Arms. 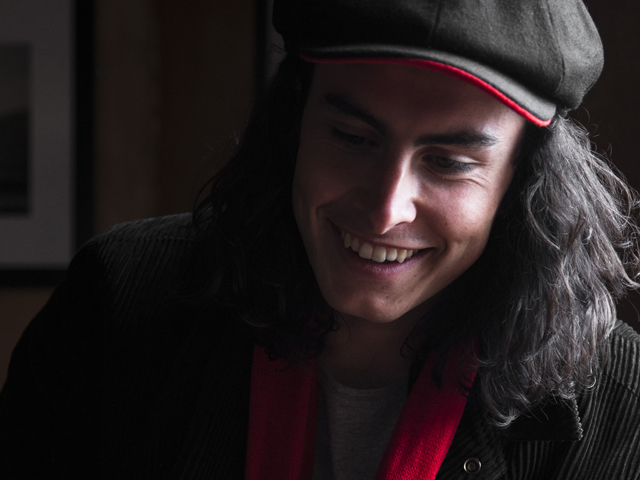 Always Wear Red is a premium clothing brand based in North East England. AWR celebrate those doing what they were born to do. And encourage those that are not, to do so. They believe that when you feel amazing – you do amazing. The Free Trade. Famous for its amazing views of Newcastle's bridges. TTM is working closely with AWR Founder Michael Owen as he works to bring the brand to life. "TTM take the time to understand our brand story. This photoshoot tells the story of a young guy as he makes his way around our amazing North Eastern city. Having a day to himself. He's a character we created. Lesley's team brought him to life." Alongside Michael at AWR, Alex Wright leads AWR's visual storytelling. 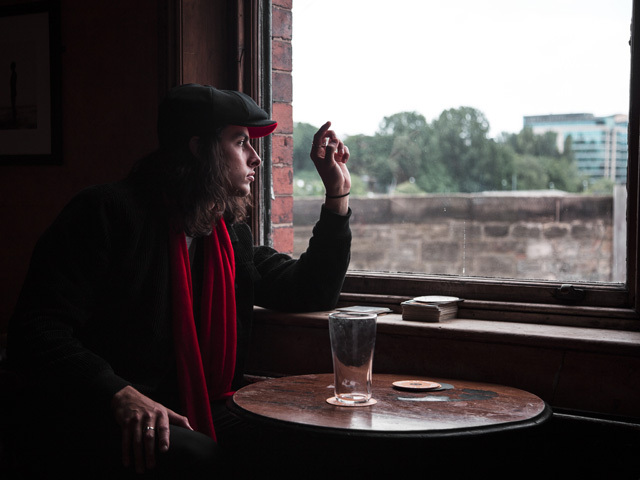 "It was great shooting with Matthew from TTM" said Alex. "He's not been modelling long. But he was amazing. He was really into the products. And the AWR brand. And the story we were telling. The Free Trade. 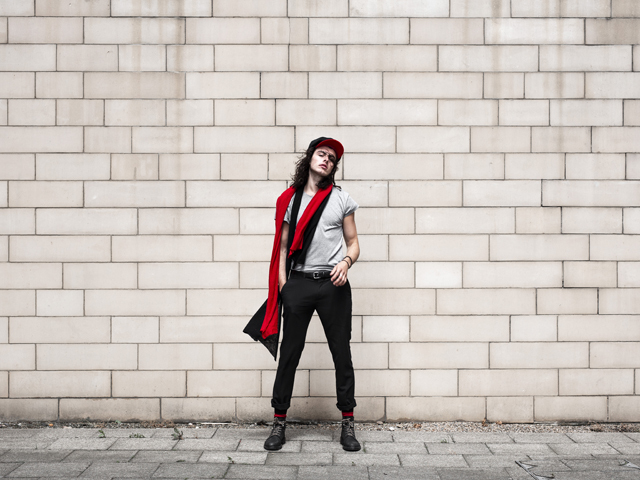 Matthew wears on of AWR's new BLOOD Baker Boy caps and BANDAGE scarf. "Matthew's character was having a day for himself. Doing what he wants. Going where he wants. Because that's what AWR customers do. "AWR customers dress for themselves; no one else. They do their own thing and don't worry about what people think of them. They're confident people doing what they were born to do. "Matthew played the part brilliantly." 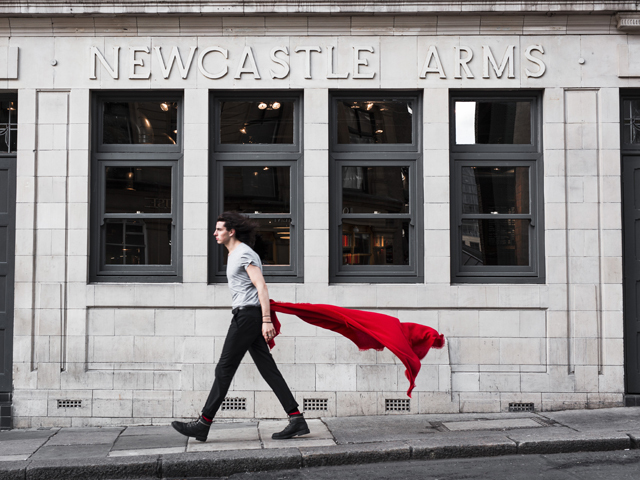 Images will appear as part of an AWR Special Edition Lookbook, to be released as AWR move to new Newcastle City Centre offices in July. END, the TTM client and Newcastle-headquartered fashion retailer has been named as one of the fastest-growing companies in the UK. Profits increased by 139% in 2017. 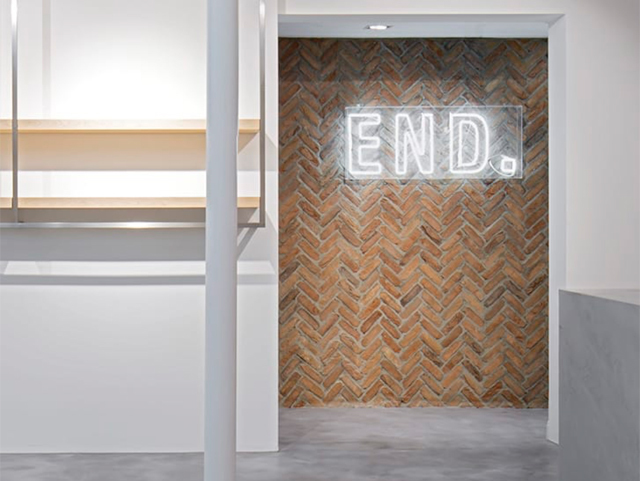 END has two stores currently. One in Newcastle and one in Glasgow. And there are new beginnings planned for END in the south of England soon, too. A new store is planned for later in 2018 in London's Soho. The END difference is the way that they access rare fashion items and new releases. Fans of END and the brands that they represent regularly queue and even camp outside their stores. END brands, many of which have been modelled by TTM, include Comme des Garçons, Gosha Rubchinskiy, Kenzo, Stone Island and Off-White. Here at TTM - as you will have heard us say many times - we are not just giving our clients a better model, we are giving them a better business. We really are focused on where the client brand wants to go. So we're delighted to see that END has grown by an average of 73% a year over the last three years. In 2017, profits hit £16.2 million on sales of £69.7m. As we move through 2018, long term TTM client Fenwick continues to modernise and reorganise. 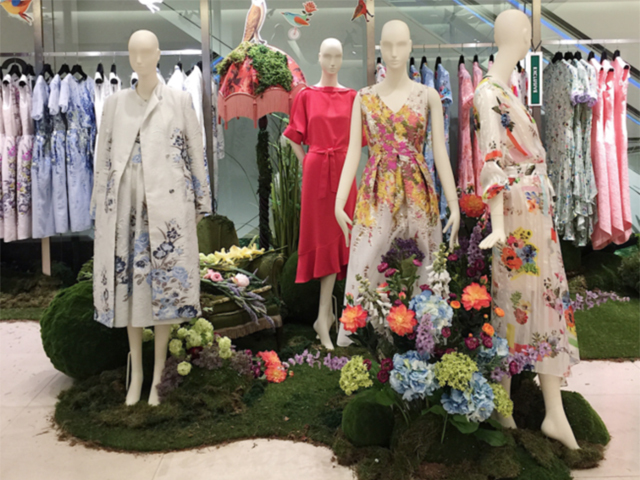 Most notably perhaps is the brand's investment in Fenwick’s multichannel offer (including IT upgrades and e-commerce) alongside its flagship Newcastle store. And - at last - modernisation finally means a web store for Fenwick. The business is still one of the very few nationally known names that doesn't operate a transactional online presence. CEO Robbie Feather is leading the change at Fenwick. Robbie, who is still quite new to the role, is the first non-Fenwick family member to run the chain in its almost 140-year history. The British high street is an increasingly competitive place. We hear this a lot. But the Internet won't replace the shops. Just like it's not replaced books and newspapers. It's a privilege for TTM to be working with Fenwick. We will continue to do whatever we can to help strengthen their excellent brand. Great messaging, superb images, fabulous in-store Point of Sale and special customer service levels will go a long way in helping this British institution to go from strength to strength. Durham’s Bowes Museum plans to mount an exhibit featuring original fashion photographs by Chris Moore, the renowned catwalk photographer. The exhibition opens on 7th July 2018 and runs until 6th January 2019. Chris Moore was born in Newcastle and started his career aged 20 working at Vogue Studio in London. Chris assisted photographers including Henry Clarke and Cecil Beaton. By the late 1960s Chris was working with designers such as Paco Rabanne, Chanel and Yves Saint Laurent. It will feature 200 original photographs chosen by Moore from his archive. There will be images from key moments at legendary fashion shows including those at Balenciaga, Chanel, Dior, John Galliano, Comme des Garҫons, Christopher Kane, Alexander McQueen, Yves Saint Laurent and Vivienne Westwood. And to add to the unique event, there will be a selection of original catwalk outfits lent to the Museum by the world’s leading fashion houses. The TTM team will be taking a look at some point. Unmissable! THE GREAT EXHIBITION. ARE YOU READY FOR THE MUSIC? In just a few days time, on 22nd June 2018, the three month long Great Exhibition of the North will begin. It will be the largest event in England in 2018 and a game-changing moment for the North. There is a lot to see. Art, music and more. We're a creative bunch here at TTM so we will be keeping a close eye on what's happening. 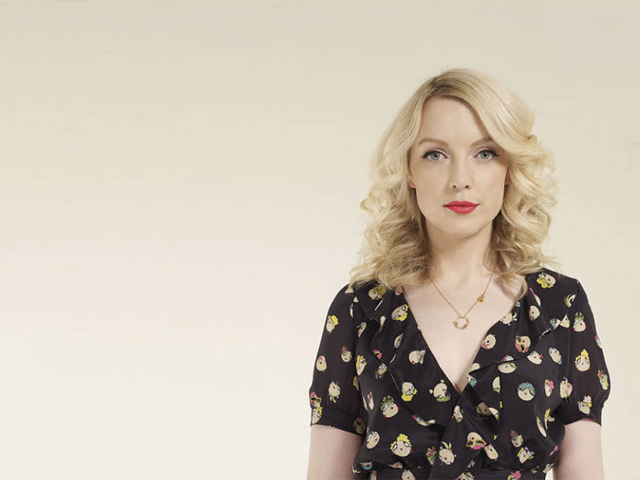 Sunderland-born Lauren Laverne will be curating a week of gigs, showcasing some of the best music the North has to offer. There’ll be concerts, presentations, talks and art exhibitions celebrating music from Newcastle to Manchester and Sunderland to Sheffield. Here is a great story and a 1 minute video (scroll down) that appeared on the BBC website just two days ago. 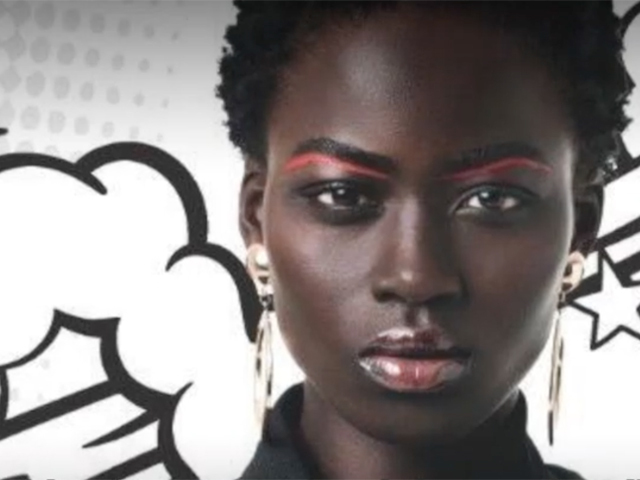 Kenyan model Olivia Sang wants to empower women of all skin tones. She tells BBC Africa’s One Minute Stories about how she hopes to challenge what is known as colourism, in the fashion industry. Here at TTM, as we've discussed before, models and influencers are so diverse these days. It's great to celebrate and embrace such a range of looks and personalities. Olivia - we salute you!